Jamison and I knew before we even got married that we didn't want to rent an apartment for very long. Housing is very, very expensive (and competitive) in our county, and we knew we were paying as much to rent as we could be paying to own. We purposefully signed a six-month lease with our apartment complex and intended to start the house hunt sooner rather than later... We both kinda dropped the ball and didn't start looking until about a month before our lease ended and we had to decide whether or not to renew. Because we had such a phenomenal realtor who recommended/works with such an amazing mortgage loan officer, we were able to close on our home in two weeks. For those of you who aren't hip with the housing lingo, we put an offer on a home, went under contract, got approved for our mortgage loan, signed everything, and got to move into our house in two weeks' time. Typically, one month is minimum. That in and of itself speaks volumes of the services that we used. There are a lot of first-time homebuyer programs that can help you qualify for a good mortgage loan (even if you don't have great credit, I think). You shouldn't use your friend's cousin's son as a realtor just because they have a license. Our realtor has some fancy certifications (that don't mean much to me but do matter), is one of the top in the state, is great at negotiating, and was always easy to get a hold of. He knew his stuff and it took a load off of our shoulders. If you live in Utah, I cannot sing high enough praises for Bob Cusick, and I highly recommend using him. A few thousand dollars higher or lower than your price range won't really change your monthly payment. That being said, make sure you know what you can and can't afford - Dave Ramsey recommends "a monthly payment that’s no more than 25% of your monthly take-home pay." Make sure to include approximate utility costs, homeowner's insurance, (if you're a Latter-day Saint) tithing, etc. You will fall in love with many, many houses. Your offer on them may not be accepted. You may not decide fast enough. You may go under contract and something may come up. Be ready to fall in love - and get your heart broken - over and over and over again while looking for a house. When we actually started looking at listings, we made our own list of things that were important to us: proximity to work, no HOA fees, good schools, nearby Sodalicious (only half joking on that one) to name a few. I think this is important to do before you even start looking at homes. You can narrow down your search before traveling to see homes in person if you know they don't meet your needs. For example, we also knew we wanted at least three bedrooms and didn't budge on that, so that allowed us to spend more time seeing houses that were a realistic option for us. While searching through listings, use your state's MLS system. It's usually the most up-to-date and more thorough than other websites. Another benefit of having a good realtor is that when we did find houses we liked, he could vet them for us. He never said, "we can't see this house," but rather, "I wouldn't recommend this house, but of course we can see it if you would like." When we began to actually visit potential houses, I kept very thorough notes. I would make a pros and cons list in the car ride from one house to the next so that I wouldn't forget anything important in the previous house. One of the biggest things that I learned is to always, always, always get a home inspection. Even if a house doesn't seem like it needs one! I'm not a contractor and don't know that much about things like plumbing issues or electrical damage, so having an inspector lay those things out for you helps you to be aware of any potential problems. 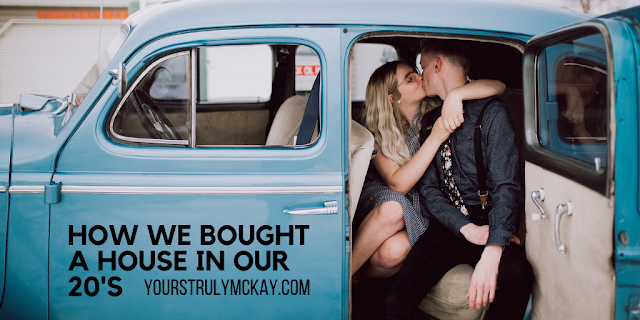 We lucked out because I had a friend do our inspection(s) for us, and he was able to tell me, friend-to-friend, that he didn't recommend a house that we had our heart set on. This was one of those heartbreak moments in our hunt, but we trusted him and continued our search. And I couldn't be happier with the house we ended up in. One of the biggest tips that I have to share is to ask questions. Ask your realtor, ask your mom, ask neighbors (we literally knocked on a neighbor's door and asked about the neighborhood... we decided not to put an offer on that house because of it), ask your mortgage lender. If there's something you don't understand, ASK! Buying a house is a huge deal and you don't want to have any surprises. Also, read through all documents that you sign thoroughly - and fair warning, there's going to be a lot of them. Like Lara Jean Covey, I too have "fallen in love" with my share of boys. Rather than writing them love letters that I'll never send, I'm just here to reflect on what these "loves" of mine taught me - the good, the bad, and the ugly. Don't even worry about him saying you're ugly. He's not going to age well, just trust me. Don't fall in love with a jerk. Trust your friends when they point out red flags. 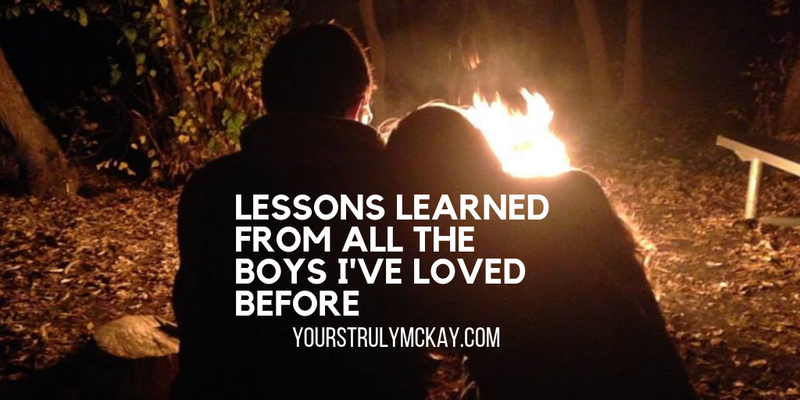 Don't let anyone (especially a boy) make you feel small and unpromising - this one did, and he still works at the local grocery store and dropped out of college. Don't chase after someone that doesn't really want to be with you. You are worth more than some chicken boy who talks the talk but sure as h*ck doesn't walk the walk. You should never be a second choice, a backup option, or someone who is just there for when it's convenient. Learn to forgive, but don't keep people in your life who don't deserve it. You don't owe them anything. Find someone who respects you and sees you as an equal. At the same time, learn to recognize when things aren't working and even more importantly, be willing to let things go. Just because two people are in love does not mean that they are meant to be together forever. Be open to love, no matter who has hurt you in the past. Go all in. Find someone who will take care of you when you can't take care of yourself. And do the same for them.